Two-in-one is good, but three-in-one is definitely better. 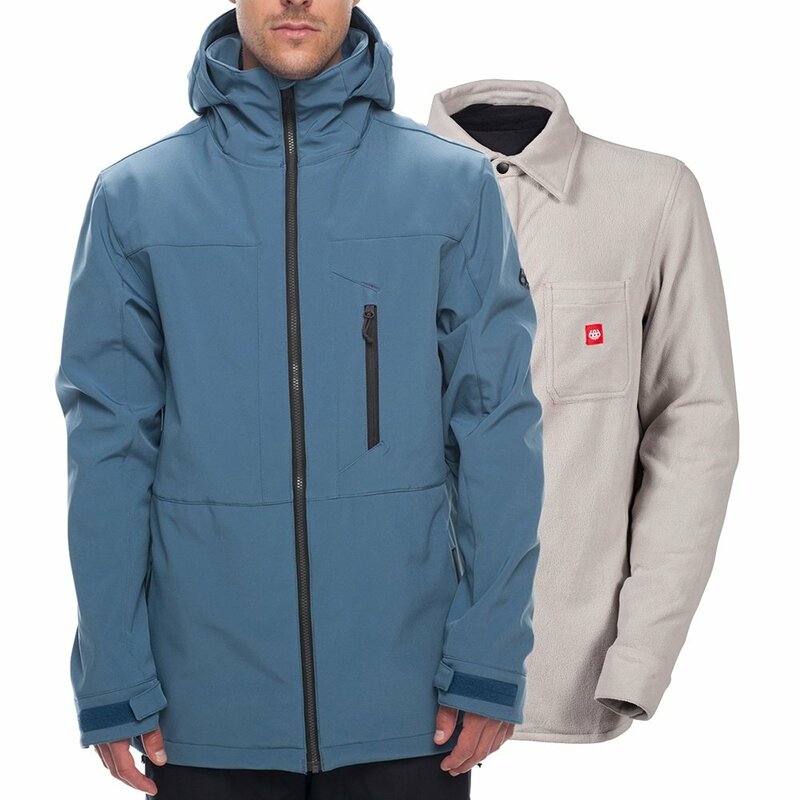 That's the motivation behind the 686 Smarty 3-in-1 Phase Softshell Snowboard Jacket, which includes both an infiDRY® fabric shell and a removable poly fleece snap-in shirt liner that can be worn on its own. Wear them combined for max warmth, or each of the two separately depending on what your day has in store. With mid-level 10K waterproofing and breathability ratings, this jacket is ideal for a variety of outdoor activities in chilly temperatures. The Smarty 3-in-1 Phase Softshell Jacket has underarm vents, an attached powder skirt, a DWR finish, and a handful of other ski-friendly features packed into its modern design. This jacket has a modern and loose fit, perfect for layering. You’ll get three ensembles in one: a snap-out shirt, an outer softshell, or the two worn together. Attach it to select 686 pants to create a complete barrier against snow and wind.